Have te seen any Jrock bands in concert? Blue Blaze o Blue Flame? Which song do te prefer? Noir Du Soleil o Rose Nior? What are your superiore, in alto 5 Jrock bands? 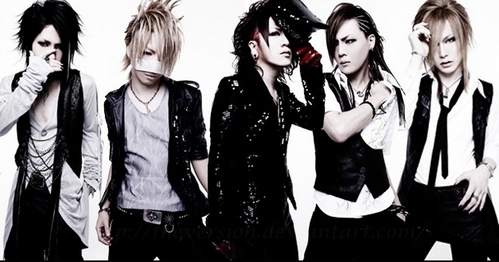 Is there a group for the jrock band DIV? Which Jrocker are you? I made a quiz i'd like te all to try. I did one of these for both Symphonic Metal and K-pop and wanted to lista of my superiore, in alto 100 Jrock songs as well. There were so many great ones that the honorable mentions lista is also pretty big. I tried not to do too many songs from the same band so a lot of songs I like aren't even on here. Japan's King Of Indies Rock, ANTI FEMINISM celebrates 30th Anniversary at AMPLYFI Hollywood, CA on July 5th 2015. An exclusive anteprima of the new song from Japanese rockers X JAPAN, entitled "I.V." is available on the Jrock Revolution web site. "I.V." is scheduled to appear in the fourth movie of the record-breaking "Saw" horror franchise. "Saw IV" comes from the same team that produced "Catacombs", which featured the song "Blue Butterfly", written and produced da X Giappone founder Yoshiki. Approached last July about producing the theme track for "Saw IV", Yoshiki chose to perform the song with X JAPAN. Mao from Sadie, Ran from Poidol, Hikarito from Aiolin, I'll from Fest Vanqueur, Kazami from DaizyStripper. Which anno was The Gazette formed?